This entry was posted in Local business, Restaurants, Weather and tagged Canal Street, Coffee An', Crossroads Ace Hardware. Bookmark the permalink. 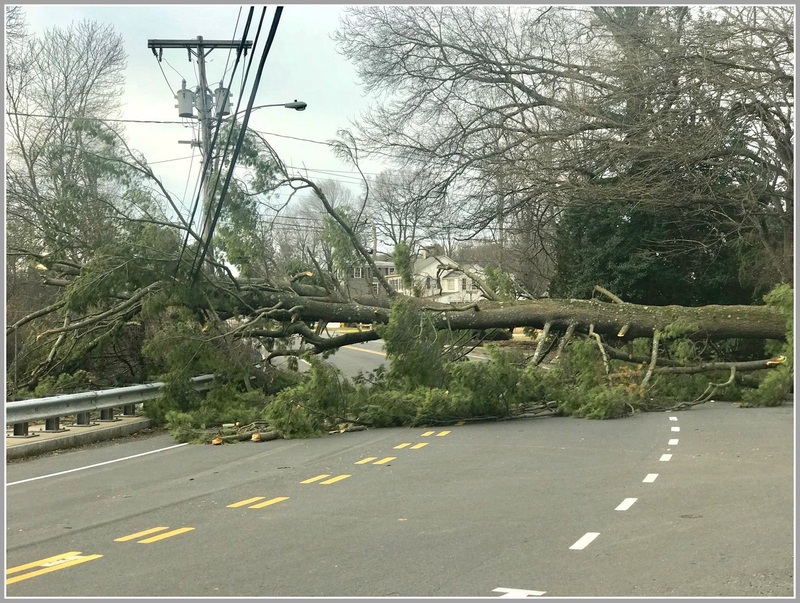 Sadly, there was a death on the Merritt Parkway in Stamford yesterday due to a falling tree. This tree came down on me while I was driving. I was like lucky enough to be looking up and saw it coming, so I slammed on my brakes. Luckily I was unharmed and my car only had minor damage. It was a miracle that I wasn’t crushed under this huge tree. I saw Larry appear to take his photo – and he was gone in a flash to the next photo op!